IN John 15 Jesus gives us another illustration through the metaphor of the vine and the branches. 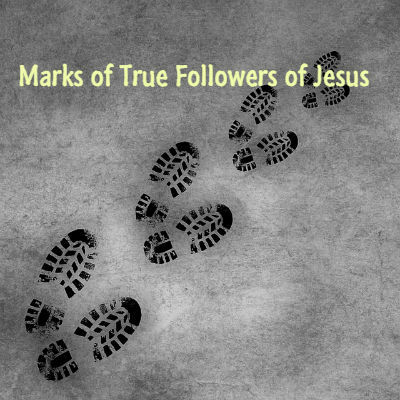 True followers of Jesus remain in him (Abide in him). Jesus is the vine, his followers are the branches. Fruit-bearing branches that are pruned by God the Gardener. Fruitless branches are cut down and burned; they are those who are not true followers of Jesus. Jesus calls his people to remain in him (v.4) “Remain in me and I will remain in you. No branch can bear fruit by itself; it must remain in the vine. Neither can you bear fruit unless you remain in me.” Why should you abide in Jesus? Followers of Jesus are to produce fruit. (this fruit comes as a result of being attached to the vine. V.4) A branch cannot bear fruit by itself. Jesus said that apart from him we can do nothing. It’s only by being attached to Jesus that we can produce fruit. John 15:7 Jesus gives a promise to those who remain in him and his word. He said ask whatever you wish and it will be done for you. What is the condition for God to give you whatever you ask in Jesus’ name? To remain in him and his word. Why should God answer our prayers if we are detached from him and his words? True followers of Jesus bear fruit. It’s one of those marks of a true follower. (v.8) God is exalted or glorified by the fruit produced by Christ’s followers. Matt.7:13-19 Jesus’ warning about false prophet. There are good fruit and bad fruit. Here every tree that bears bad fruit is cut down (v.19) The idea the a tree is recognized by its fruit. Matt.3:8// Luke 3:8 John the Baptist challenged the people to bear fruit in keeping with repentance. True Christians bear fruit. Here are example of the fruit we are talking about. Paul calls this living by the Spirit when we produce this fruit. Gal.5:22 Love, joy, peace, patience, kindness, goodness, faithfulness, gentleness and self-control. When the world displays hate, followers of Jesus show love. When others display despair and hostility, Christ’s followers display peace, patience, kindness. When others display evil, you show goodness. You repay evil with good. When others are unfaithful, you show faithfulness; you display gentleness and self-control in dealing with others. These are the fruit followers of Jesus are to produce. The little boy replied, “No. I am just waiting to hear what a preacher says when he hits his thumb with a hammer. People will see the type of fruit you are producing; it will either be bad or good. In order to produce good fruit we must remain attached to Jesus and his teachings found in his word. Bearing good fruit is really not complicated; it is the natural progression or movement of anyone who remains in Jesus and his word because only those who remain in him produce fruit and bring glory to God by doing so.